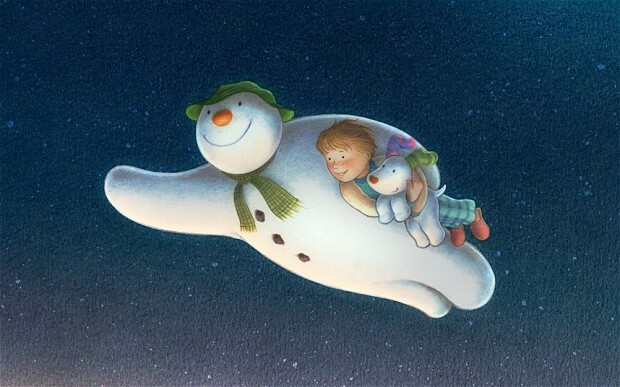 ‘The Snowman and the Snowdog’ is set to be one of the Christmas TV highlights of 2012. Meanwhile, I need to shop, and fast! Having given you an insight into my Christmas shopping habits last year, I feel compelled to revisit the topic. I can confirm that I am still distracted by anything shiny but I have stayed clear of DIY shops this time. The Dads are due to receive useful pressies but they will not be project related. It’s all for the best! Unfortunately the ‘start early, finish late’ pattern seems to be in evidence again. Although I started shopping about a month ago I have only purchased seven out of twenty gifts, eeek! Happily, Hubs and I are going to hit Hay-on-Wye before Christmas and are planning to give a lot of books as pressies. There’s nothing better in my opinion. I’m hoping to get a copy of Andre Agassi’s autobiography. He was my favourite tennis player in my teens and made Wimbledon extra eventful with his rapid return of serve and baseline winners! And who could forget the cascades of golden hair, emerging from under his baseball cap? The guy was pure entertainment. There hasn’t been a character like him in years. Hmmm, I got distracted again didn’t I? Ok, well I’m about to reveal some Christmas shopping secrets from the depths of my Writer’s soul . . . Make a list (no, not to Santa Claus). Seriously, my top tip is to make a list of the people you have to buy for, write a gift idea next to their name. Bring this with you when shopping. Tick off the names as you buy each gift. Try to stick to one gift per person to avoid confusion. Just make it a good one! And, if you have teenage nieces and nephews like me, give them money. There you go, all sorted! I really should take my own advice! Never mind, I will get there in the end. I really am looking forward to Christmas this year as I have lots of catch ups with family and friends planned. I’m also childishly excited about the new sequel to ‘The Snowman’ – ‘The Snowman and the Snowdog’ due to be broadcast on Christmas Eve. I have already booked my place on the sofa with hubs. There will be chocolates, mulled wine, and a roaring log fire. Bliss! K. S. Moore has just published her first collection of short stories as an ebook, available from Amazon for just £1.99! ‘Heart Strings’ comprises of ten stories, united by their strong, emotional content: the sweet, the magical the romantic and the ghostly . . . Includes Festive Romantic Comedy: ‘Rewriting Christmas’: Check it out here. Still Distracted, Still Christmas Shopping.